The digital arm of Russia's third largest bank, Gazprombank, GPB Digital has inked a deal with the Waves Platform. GPB Digital and Waves have teamed up to bring blockchain tech to the mainstream banking client base, corporate customers and investment banking clients alike. Waves will provide the introduction of innovative digital financing mechanisms, while GPB Digital develops financial tech solutions. “Blockchain technologies are gaining ground, already allowing technology start-ups to raise significant amounts of funding in cryptocurrencies. ICOs are best-suited for small- and mid-size venture projects, but should not be limited to the technology sector alone. We see big potential in bringing cryptocurrency financing innovation to the real sector of the economy — in particular, to metals and mining exploration and development projects. We are pleased to cooperate with the Waves Platform and are confident that our joint efforts will help bring real projects that meet very high standards of financial soundness and risk disclosure to cryptocurrency investors,” comments Maxim Ermilov, Chief Executive Officer of GPB Digital. Under the agreement between the two companies, GPB Digital will communicate and promote the long term benefits of innovative ICO financing mechanisms, to companies in the "real" economy in Russia. They will start with the metals and mining industry, and one key objective is to raise the quality of projects offered to investors, increasing the standards of financial analysis and risk disclosure to be par with ones that qualified investors in traditional financial instruments would expect. “Our partnership is a significant step towards mass application of Blockchain technology. Presently, initial coin offerings are not regulated and carry significant risks for investors. Our strategic partnership with GPB Digital, the daughter company of Gazprombank, will allow us to generate a high-quality deal flow for global cryptocurrency investors. It is an important step forward for the entire Blockchain industry, in Russia and across the world,” adds Waves founder and CEO Sasha Ivanov. What are you opinions about the Waves platform? Will this deal see more demand taken away from Ehereum-based ICO efforts? Would/have you participate[d] in a Waves based ICO before? Interesting article. I was about to start a similair discussion. Investing in the cryptospace might come with a high risk but honestly I don't believe the risk is that high for the people who are daring to HOLD their coins for long. This is quite an interesting website I found: https://www.coincheckup.com I'm really happy with this site that gives complete coin analysis for every single crypto. 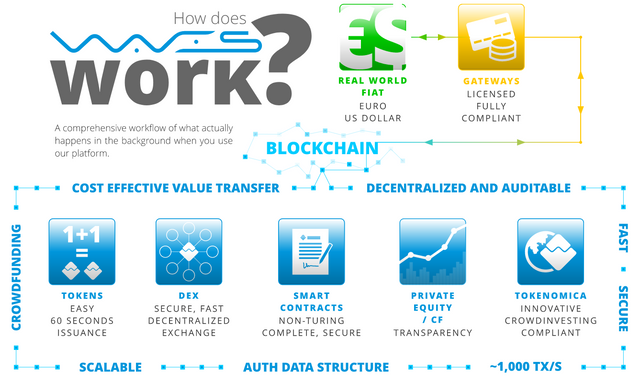 Check: https://www.coincheckup.com/coins/Waves#analysis To see the: Waves Investment research.